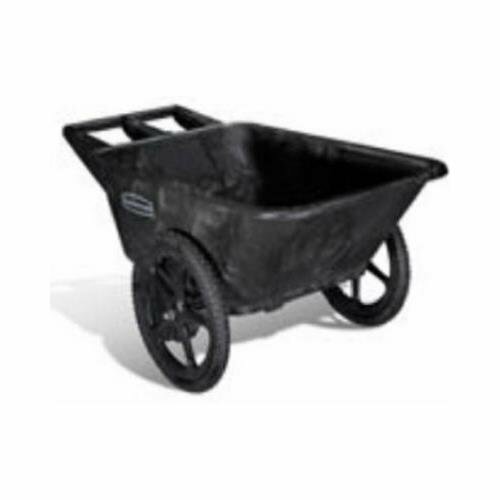 Rubbermaid Commercial Prod 5642-00-BLA Big Wheel Garden Cart, Pneumatic Tires, Black, 7.5-Cu. 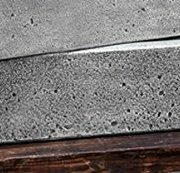 Ft., Holds 300-Lbs. 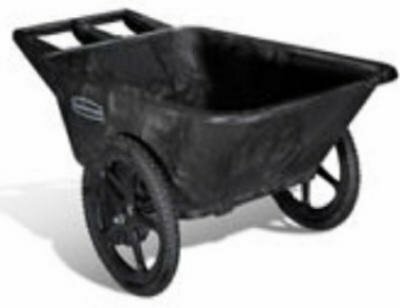 7.5 CUFT, Black Big Wheel Heavy Duty Garden Cart, Strong Durable Single Piece Construction Carries Up To 300 LB, Fills Most Agricultural & Lawn & Garden Needs, Almost Anything You Need To Haul, Tote Or Move Large 20″ x 2.125 Pneumatic Tires Mounted On Glass Filled Nylon Wheels Provide Easy Mobility Over Most Surfaces, Comfortable Molded Hand Grip, Smooth Seamless Body For Easy Use & Cleaning, Resistant To Most Farm & Lawn & Garden Chemicals, Reinforcement Ribs Add Impact Resistance, 33″ Width Allows For Passage Through Most Doorways, 27-1/2″H x 33″W x 57-2/5″L.